Situated around the Coastal town of Napier, Hawke’s Bay was more or less the birthplace of New Zealand wine when French Marist missionaries started to plant vines in the mid-19th century. In fact, Mission Estate – producers of our flagship New Zealand wines – is the country’s oldest winery. Cabernet Sauvignon, Merlot, and similar Bordeaux style blends prospered particularly well in this region after serious cultivation of wines began in the 1970s. The favourable Hawkes Bay climate and complexities in the soils make for the ripest grapes – the famous Gimblett Gravels shingle proving optimum. Try a Syrah or Riesling from the region to experience a more modern expression of the region’s offerings. Like the award winning Mission Estate Hawke's Bay Syrah and Gimblett Gravels Syrah, 2014 was a very good red wine vintage. This was due to the early spring and warm, dry summer that produced great quality grapes with more berry fruit flavours than usual. Elegant and well structured, the front of the palate is full with soft mouth feel and fine flavours. They are reminiscent of citrus, such as grapefruit, with vanilla undertones from the oak. The finish is clean silky and lingers well. Established in 1851 by the French Marist religious order, Mission Estate Winery is New Zealands oldest winemaker. The wine displays primary fruit characters typical with Pinot Gris, reminiscent of pear and apple. It has citrus overtones that typify white wines from the Church Road parcel. The palate is soft and approachable with an appealing fresh acidity that makes this wine ideal for current consumption. It shows good intensity and richness with a full round mouth feel. The palate will gain intensity and length on the finish with one to two years bottle maturation. A Hawkes Bay Syrah with vibrant spicy berry notes and a rich fruity mid palate. The Gimblett Gravels fruit has contributed to the warm spicy character. It has a peppery aroma with cherries and raspberries leading to a slightly chocolatey palate, with good fruit and balanced acidity. Partially barrel aged creating a long soft palate with classic pepper flavours on the finish. This Mission Estate single-vineyard Riesling is bright and clean reflecting the gentle handling of the grapes. The nose has an intense lime and floral aroma. The palate is very fresh and long with a soft fruit finish. Overall the flavours are intense, reminiscent of lime and other citrus characters, with the sweetness balancing the acidity. 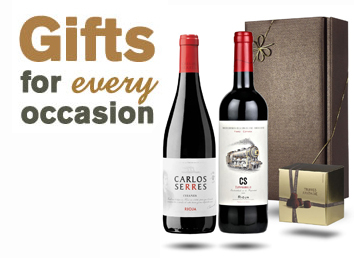 The wine has a black pepper nose and also shows small fruit aromas such as dark berries with spicy undertones. The palate is medium-bodied with fine soft tannins. The wine has good finesse in aroma and structure from the careful oak maturation in French oak. This Hawke’s Bay Gimblett Gravels Reserve Merlot is deliciously rich and complex. The nose is typical Merlot with subtle and unobtrusive oak while the front palate is intense with very good tannins. A harmonious wine showing balance and softness that only comes from top quality fruit. You can tell that the winemakers are passionate about their work! A hand harvested cuvée crafted to celebrate Mission Estate's 160 years of winemaking and pioneering heritage. Named Fête (to honour the winery's French roots) this soft and light sparkling wine is made in the Champagne method giving it delicious creamy characteristics, delicate pear aromas and a fine, persistant mousse. 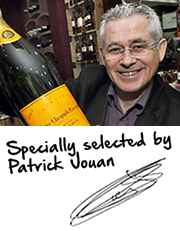 Unlike Champagne this wine is made from predominantly Pinot Gris grapes with a little Chardonnay fruit thrown in. These grapes were hand harvested from the Mission Estate Taradale vineyard, and pressed very gently in the traditional manner. In the mouth the wine sings across the palate showing a persistent and fresh moreish finish. The Gimblett Gravels region in the famed Hawke’s Bay has become one of New Zealand’s fine wine regions with some wines outclassing several Bordeaux First Growths. The 2009 vintage of this wine did just that at a blind tasting in Hong Kong and at less than half the Jewelstone’s modest price too. The 2010 vintage is just as good however you’ll find it more in the style of Pomerol than Médoc. Aged mostly in (expensive) new oak this seriously good red is ripe, rich and smooth. Mission Estate is one of Hawke's Bays largest established wineries, with a well-respected reputation. 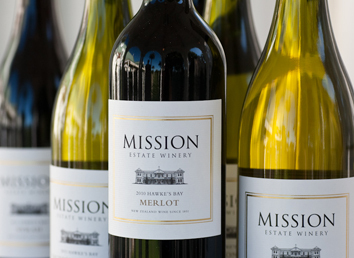 Established in 1851 by the French Marist religious order, Mission Estate Winery is New Zealand's oldest winemaker.